In 1971 the Scottish-born folk singer Eric Bogle entered a songwriting competition in Brisbane, Australia. The prize was a valuable Ovation Guitar. The song he sang was one that would quickly become a folk classic. “And the Band Played Waltzing Matilda,” tells the story of a young Australian soldier who loses both his legs after a bomb attack at Gallipoli during the First World War. Bogle, who was at that time living in Australia, was inspired to write it after watching the ANZAC Memorial Parade. The song has been performed and recorded by many great musicians from Joan Baez to the Pogues. 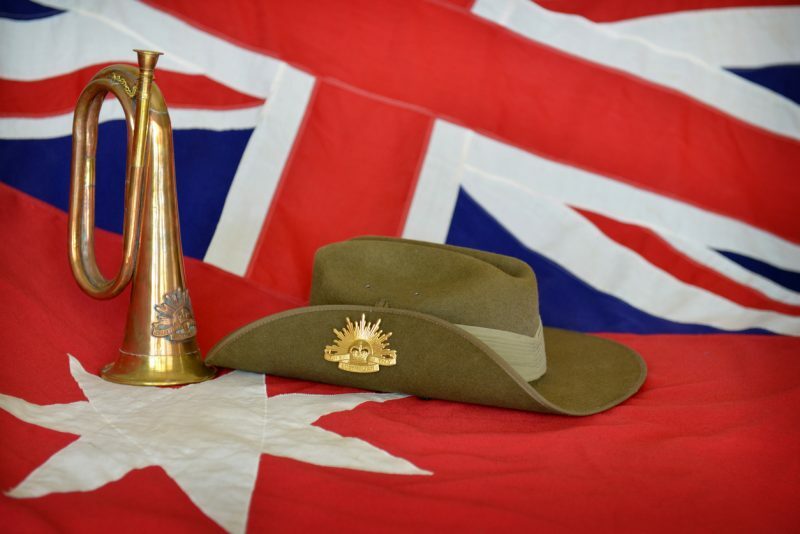 On the 25th of April, 1915, the Australian and New Zealand Army Corps (ANZAC) landed at Gallipoli, also known as the Dardanelles, in what is now Turkey. 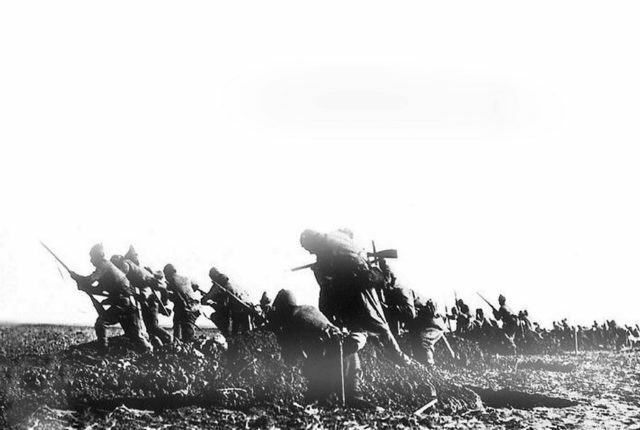 They were among the troops fighting as part of the Allied forces to capture the Gallipoli Peninsula. This was an important location strategically as it would give the Allies control of routes through the Black Sea. The Allies had been expecting a relatively easy and swift victory, but the resistance from the armies of the Ottoman Empire was much stronger than they had anticipated. Instead, the battle lasted eight months and losses to the Allies were heavy. More than 40,000 Allied Soldiers were killed including more 13,000 from New Zealand and Australia. 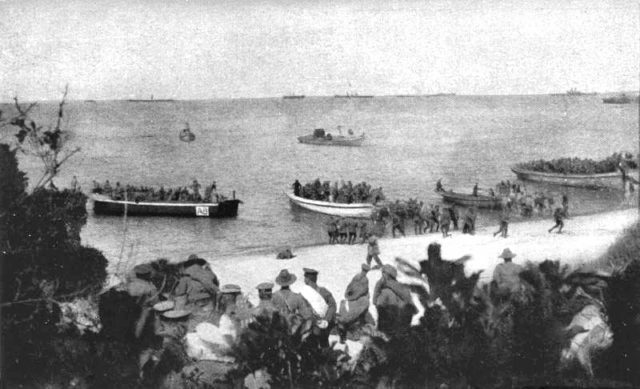 Australian 4th Battalion troops landing in Anzac Cove, 25 April 1915. After the first week of fighting, the 16th Battalion – which had been about 1000 strong – had a lost eight officers and 330 men. Only days later there were further losses, and the battalion was reduced to nine officers and less than 300 men. In Bogle’s songs, he describes the devastation of the battle with the “corpses piling higher and higher”. For those who survived, conditions were extremely difficult. The ANZAC living quarters were tiny and inevitably, in such crowded conditions which lacked proper sanitation, disease was rife. To make matters worse many of the dead remained unburied, which attracted swarms of flies. It wasn’t long before the soldiers succumbed to dysentery and typhoid. They also had to endure extreme weather conditions with sweltering heat in the summer and freezing cold in the winter months. To make matters worse, they barely had the essentials for survival. There was a serious shortage of fresh water as there was no natural source of water nearby. 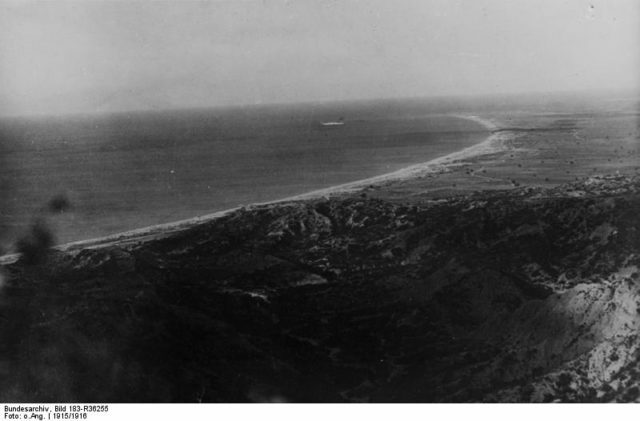 They also faced shortages of other essentials such as food and ammunition because it was difficult for the supply ship to land safely on the beach in the area where the ANZAC camp was based. 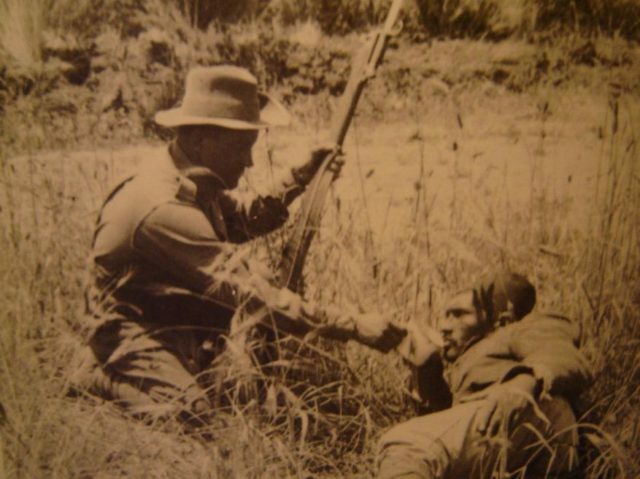 ANZAC soldier giving a wounded Ottoman Soldier a drink. After the initial landing, there were repeated attempts to strike out further north. Between April and June 1915 there had been attempts to gain some ground from the Ottoman armies, but these were unsuccessful and only led to further losses and causalities. 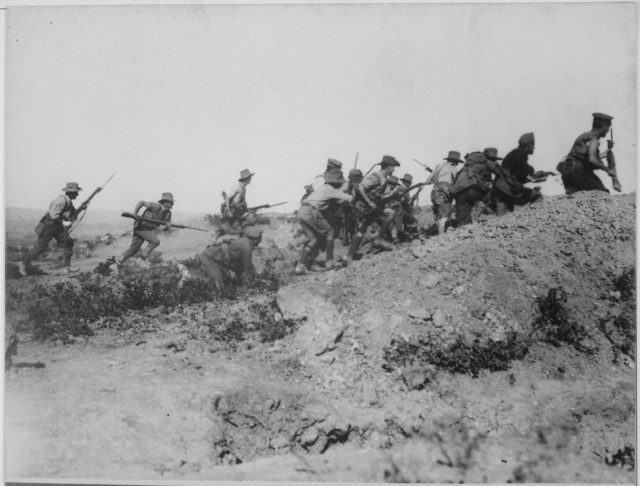 The ANZAC troops were hindered by the lack of reinforcements required following their earlier losses. However in August, in an attempt to break the stalemate, British troops joined their ANZAC allies, and the next stage of the Campaign began. Turkish troops going over the top. Despite this, the campaign continued and on 6th August the Battle of Chunuk Bair began in the hope that this might bring a decisive end to the stalemate. Things began well for the ANZAC and British troops who had now been strengthened by the arrival of the by the 29th Indian Infantry Brigade. On the evening of the 6th of August they set out after dark and began to make their way north along a newly constructed military road. They reached the summit of Chunuk Bair two days later. The Turkish army, however, had also brought in reinforcements to deal with the threat of an allied offensive and were able to inflict serious losses once again on the Allied troops. Despite suffering further heavy losses and casualties, the Allies were initially successful in capturing their objective. However, it was a difficult position to defend. They were in an exposed position on the top of the hill, and the terrain was unsuitable for digging anything but the shallowest of trenches, so the men had little protection. 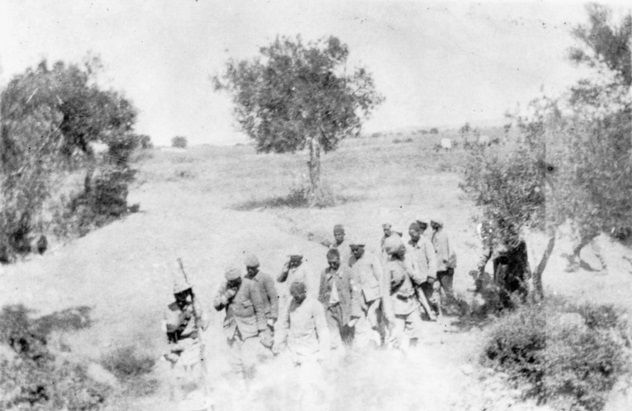 Turkish prisioners of war escorted by allied soldiers near Chunuk Bair. It was only a matter of days before Chunuk Bair was recaptured by the forces of the Ottoman Empire. Their efforts, including the actions of one British Corporal, Cyril Basset, who was awarded the Victoria Cross for helping maintain vital communication by mending phone lines while under fire, had all been for nothing. After the failure of the August offensive, there were serious doubts about the value of the Gallipoli campaigns. As well as the failure to gain ground despite heavy losses, the campaign was also diverting troops who might have been better stationed elsewhere, in particular, on the Western Front. A request for further reinforcement in October was refused, and the process of evacuation soon began. The New Zealand and Australian troops were initially sent to Camp Sari to rest and recover from the battle, but when they arrived they found that before they could do so they had to build a camp for themselves. Yet, despite the hardship they had suffered some of the troops were unhappy when they heard that they were to return home. Many felt that to give up now meant that all the hardship they had endured, along with the loss of so many of their comrades’ lives, would all have been in vain. However, in December the evacuation began and the soldiers started to make their way home. Those returning included many who had been injured, like the narrator in the who song. He describes how “the legless, the armless, the blind, the insane” are carried down the gangway to the sound of the traditional Australian song “Waltzing Matilda” – the same tune that was played when they had set sail less than a year before with little idea of what lay ahead.